WASHINGTON — Social Security benefits will rise 1.5 percent in January, giving millions of retired and disabled workers an average raise of $19 a month to keep up with the cost of living. The increase is among the smallest since automatic adjustments were adopted in 1975, and reflects the fact that consumer prices haven’t gone up much in the past year. The annual cost-of-living adjustment, or COLA, is based on a government measure of inflation that was released Wednesday. Automatic COLAs were adopted in 1975 so that benefits for people on fixed incomes would keep pace with rising prices. Some advocates for older Americans, however, complain that the COLA sometimes falls short, especially for people with high medical costs. Michael Hartzog of Charleston, S.C., said the small COLA will make it difficult to keep up with his wife’s medical bills. Hartzog, 63, is retired after working 38 years at the Social Security Administration in South Carolina. He said his federal pension and Social Security benefits are affected by the COLA. The COLA affects benefits for more than one-fifth of the country: nearly 58 million Social Security recipients, as well as benefits for millions of disabled veterans, federal retirees and people who get Supplemental Security Income, the disability program for the poor. Social Security pays retired workers an average of $1,272 a month. A 1.5 percent raise comes to about $19. Benefits are based on lifetime earnings. The more you make, the higher your benefit — to a point. For someone who retired this year at age 66, the maximum monthly benefit is $2,533. That person will get a raise of about $38 a month. The amount of wages subject to Social Security taxes is also going up. Social Security is funded by a 12.4 percent tax on the first $113,700 in wages earned by a worker, with half paid by employers and the other half withheld from workers’ pay. The wage threshold will increase to $117,000 next year, the Social Security Administration said. Wages above the threshold are not subject to Social Security taxes. 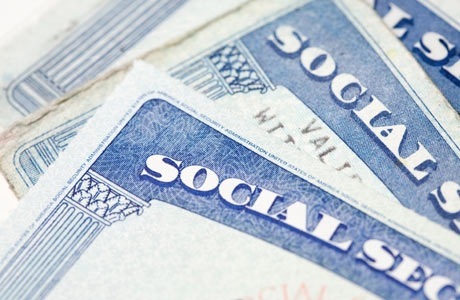 About 165 million workers pay Social Security taxes. About 10 million earn wages above the threshold, the agency said. By law, the cost-of-living adjustment is based on the consumer price index for urban wage earners and clerical workers, a broad measure of consumer prices generated by the Bureau of Labor Statistics. It measures price changes for food, housing, clothing, transportation, energy, medical care, recreation and education. The COLA is calculated by comparing consumer prices in July, August and September each year with prices in the same three months from the previous year. If prices go up over the course of the year, benefits go up, starting with payments delivered in January. Since 1975, annual Social Security raises have averaged just over 4 percent. Next year will mark only the seventh time the COLA has been less than 2 percent. This year’s increase was 1.7 percent. There was no COLA in 2010 or 2011 because inflation was too low. Lower prices for gasoline are helping keep inflation low. The average price of a gallon of regular gasoline has dropped over the past year from $3.53 to about $3.28, according to the automotive club AAA. Over the past year, medical costs went up less than in previous years but still outpaced other consumer prices, rising 2.4 percent, according to the Bureau of Labor Statistics. Housing costs went up 2.3 percent. To save money, Congress has considered adopting a new measure of inflation called the chained CPI, which would, on average, result in slightly smaller COLAs most years. President Barack Obama has supported the idea in previous budget talks with House Speaker John Boehner, R-Ohio, making it one of the few issues the two agree on. Many economists argue that the chained CPI is more accurate because it assumes that as prices increase, consumers switch to lower cost alternatives, reducing the amount of inflation they experience. The White House has called it a “technical change,” though many advocates for older Americans are pledging to fight it. The issue could come up again as part of a new round of budget talks that began Wednesday on Capitol Hill. Following the recent government shutdown, House and Senate leaders formed a new committee that is trying to reach a budget deal for next year and beyond. The committee has a deadline of mid-December. If the chained CPI were in use today, next year’s COLA would still be 1.5 percent. That’s because the differences between the two inflation measures are smaller when the COLA is small. “Proponents of a stingier COLA formula claim the chained CPI is more accurate. However, in truth it is a benefit cut for millions of current and future retirees, veterans, people with disabilities and their families,” said Max Richtman, who heads the National Committee to Preserve Social Security and Medicare. Associated Press reporter Stephen Ohlemacher wrote this report. Christopher S. Rugaber contributed.